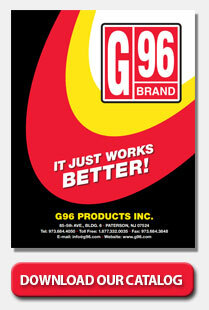 G96 Firearm Cleaner/Degreaser is a water-based, biodegradable, cleaning solution for use on metal and other hard surfaces. It is used to remove hydrocarbon and other organic residue as well as inorganic material from surfaces, and is non-corrosive to a wide array of metals, plastics, rubber and other materials. Use prior to blueing. May be used to clean polymer frames, AR/AK furniture, sights, anodized aluminum receivers, handguards, grips, and other exterior parts found on a firearm. Saturate a clean cloth with Firearm Cleaner/Degreaser and apply to surface to be cleaned. Wipe dry. If surface is unusually dirty, repeat.